A mod that makes it possible to play Skyrim with several of your friends at once from beginning to end, is almost ready for a wider release. The closed beta for the game is now ongoing with plans for an open beta in the coming weeks, followed by a general release sometime in the net few months. Skyrim Together has been in development for several years and has garnered quite a following in that time. It's brought in more than 11,000 supporters on Patreon, netting the developers nearly $19,000 a month for their continued efforts. "We aim to develop a "true" Skyrim multiplayer experience that aims to bring online multiplayer for the players," the mod site's blurb reads. "Our focus is to create a co-op experience for about 2-8 players with your friends, not an MMO. Our current goal is to create a bug-free experience in where Skyrim can be played start to end without any major alterations to the vanilla experience. You will be able to play with other mods as well." 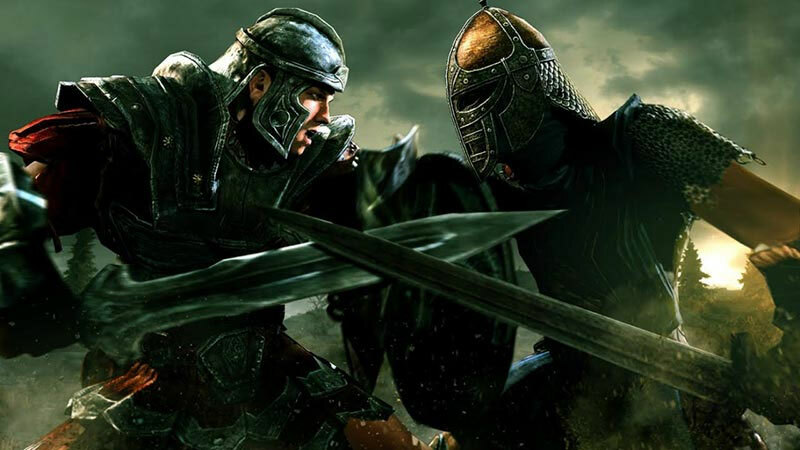 The developers have faced some serious problems over the life of the mod, including Bethesda trying to shut it down and then forcing the developers to utilize a matchmaking system away from Steam's own. That added a lot of work to their to do list, but we're finally approaching a point where the game is nearly playable. The closed beta has just begun, so Patreon subscribers can test it out. The open beta will follow in a few weeks' time, allowing anyone to give it a go and enjoy the Skyrim experience on dedicated servers with fans and friends around the world. The first general stable release is expected to take place later in 2019. This is awesome, i love skyrim. Now add some LAN support for atleast 4 people and i will buy 4 copies. Ok, meow for now. Does anyone still play that old game?